Yep, all you digital scrapbookers, here's a big treat, and when I say big, I mean BIG. 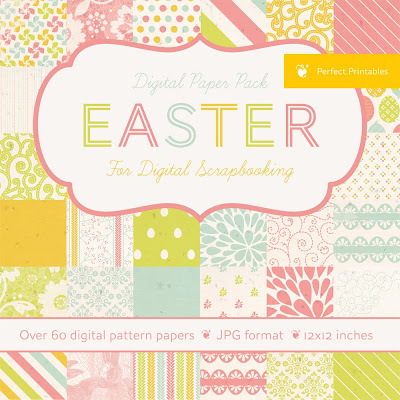 This collection includes over 60 pattern papers. I love this collection. It's so versatile. 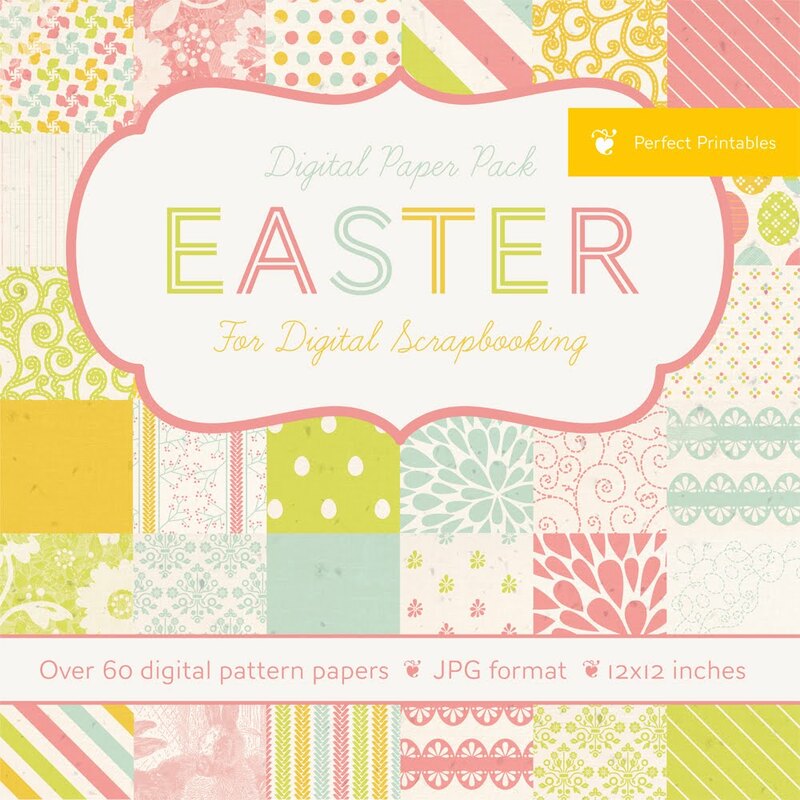 If you want to use it for Easter scrapbooking, it will work great, but I've also designed it so that there are LOTS of beautiful non-Easter themed pages, so there really is no limit to what you can do with this collection. Plus the best part: It's only $6 at my Etsy shop. And if you haven't explored digital scrapbooking, you should look into it. Seriously. I think the best thing about it is there are no stacks of paper to organize, no little scraps that you don't know what to do with, and you can get your scrapbooking printed into beautiful books at places like Snapfish. Hey, you don't even have to be a scrapbooker to enjoy this collection. You could even use it to make cards, invitations, really there's no limit. Plus, it's so affordable! All you need is your imagination and Photoshop, and of course this new huge collection that will give you tons of mileage!